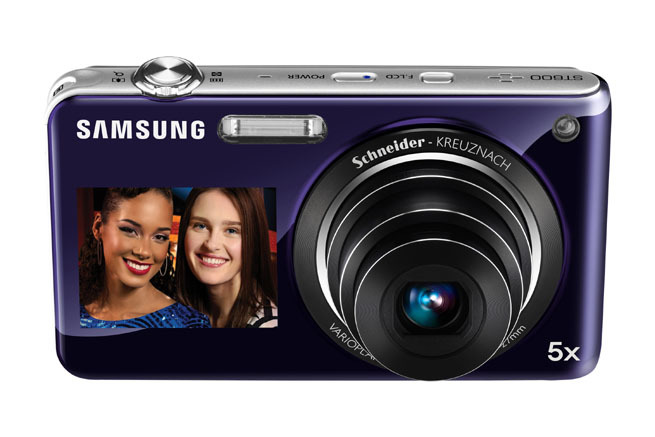 South Korean electronics giant Samsung has taken the wraps off three new point-and-shoot cameras aimed at the consumer market: two new versions of its DualView shooters with secondary, front-facing LCDs to help people frame their self-portraits, and a new compact PL200 model offering a 14.2 megapixel resolution and a 7× optical zoom. First up, for folks who just can’t get enough of themselves, Samsung has introduced two new models in its DualView line, the ST100 and the ST600. The DualView cameras’ signature feature is a smaller, secondary LCD display on the front of the camera that helps users frame self-portraits and timer shots—instead of wondering whether everything they want is going to be in frame, the small reference LCD on the front of the camera lets folks get an idea what a picture will be like. The ST100 and ST600 push the secondary LCD display a little larger (from 1.5 inches to 1.8 inches), and feature 14.2 megapixel resolutions, 5× optical zooms, digital and optical image stabilization, face detection, in-camera image editing, high-definition 720p movie recording (HDMI output too), and sensitivity down to ISO 3200 for low-light shows. The main difference between the two models is in the movie mode: the ST600 includes an audio zoom mode that should make it easier to capture intelligible audio when shooting video; also the ST600 offers a 27mm wide-angle local length with a 5× optical zoom, while the ST100 skates y with an internal 5× optical zoom with a 35mm focal length that keeps the design slim. Expect to see them in September, with the ST100 going for a suggested price of $349.99, while the ST600 will carry a suggested price of about $329.99. 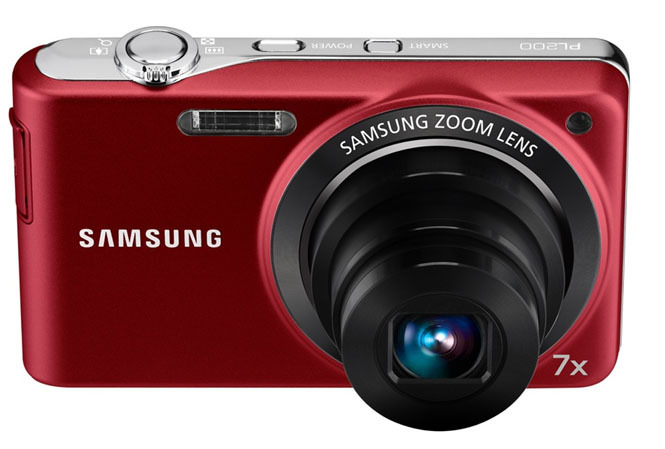 Folks who want a little more zoom—and perhaps a little less vanity—much want to check out Samsung’s new PL200 compact camera, which sports the same 14.2 megapixel resolution with a 7× optical zoom with dual image stabilization technology (digital and optical), along with a 3-inch LCD display. The PL200 will also shoot high-definition movies at 720p/30fps, and includes a smart auto mode along with face detection, blink detection, and special modes for beauty shots and smile shots. 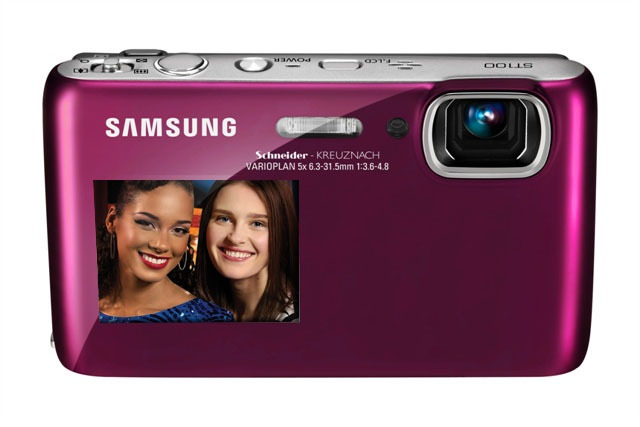 Expect to see the PL200 in September with a suggested price of $179.99.